Runners tweeted messages of joy, relief, excitement and anxiety as MCM Lottery notifications were delivered to inboxes around the world. Individuals were officially registered from all 50 states, Washington D.C. and 52 countries. The top states to register outside the national capital region were New York, Massachusetts, Florida and Pennsylvania. Limited entries are still available through the MCM Charity Program. 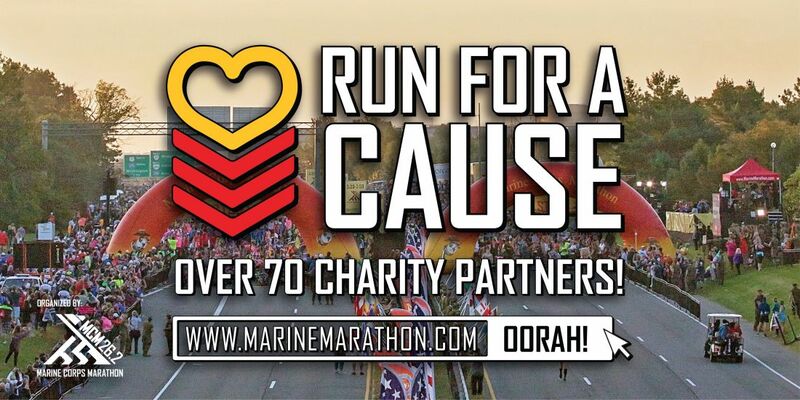 Runners determined to #RunWithTheMarines can scan the list of MCM Charity partners to make a connect to a cause. More than 70 charitable organizations hold guaranteed entries into the MCM. For these charities, the MCM entries offer a means to connect with those who advocate for their cause, establish new relationships, generate awareness and fundraise. These organizations support a range of services that aid the military community, healthcare research, education and international efforts. Links from the charity webpage connect directly with the organizations and their representatives. Runners are encouraged to learn about the fundraising requirements, special program offerings and MCM Weekend activities. Congratulations and Oorah, if you made it into the MCM. Let your friends know about the Charity Program and inspire them to run. If you didn't make it into the MCM, please know there's still a way.